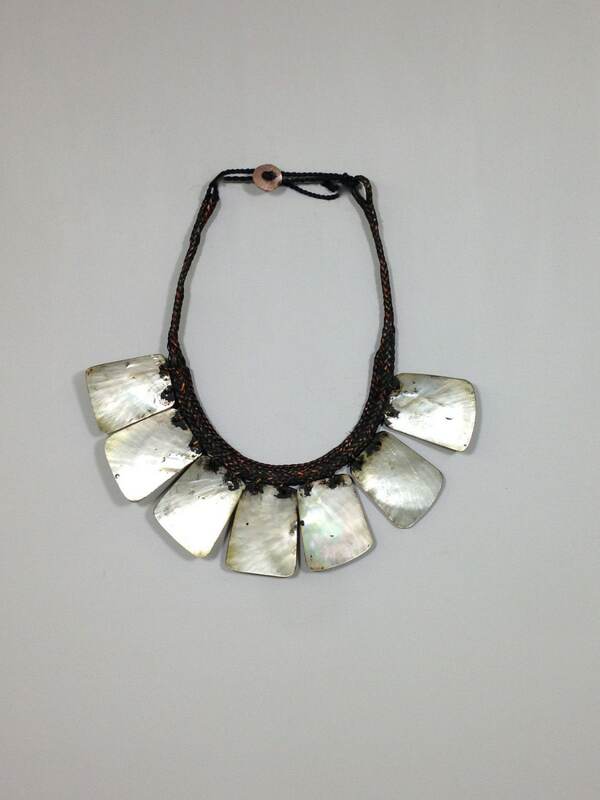 This beautiful Ifugao Shell Necklace comes from the people of the Northern Cordilleras, Luzon, Philippines. Seven pieces of Mother of Pearl are drilled and fastened to a band of plaited fine split rattan to form this bright neck ornament. 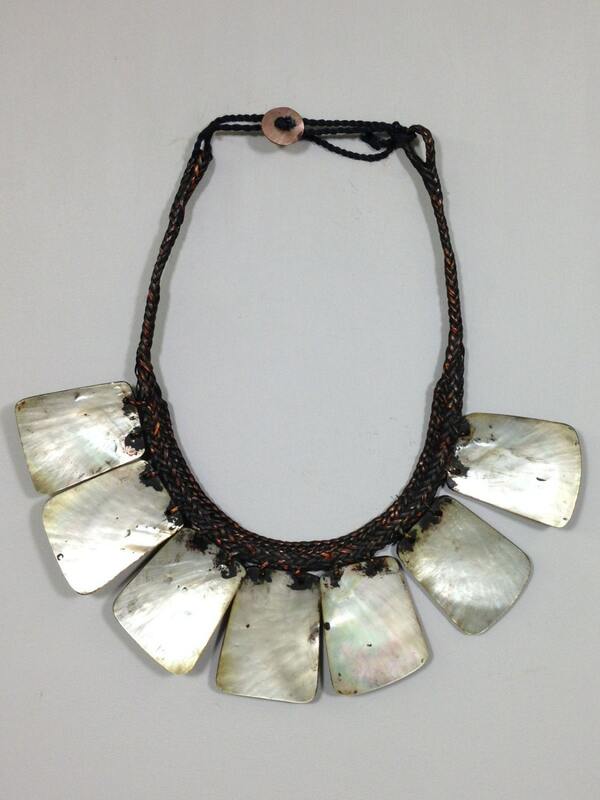 The shell chokers' function is to impress, as a status symbol. The scarcity of large pieces of mother of pearl in these parts plus the difficulties entailed in grinding, drilling and polishing with primitive tools insured its prestige limiting its use to the elite and very wealthy." 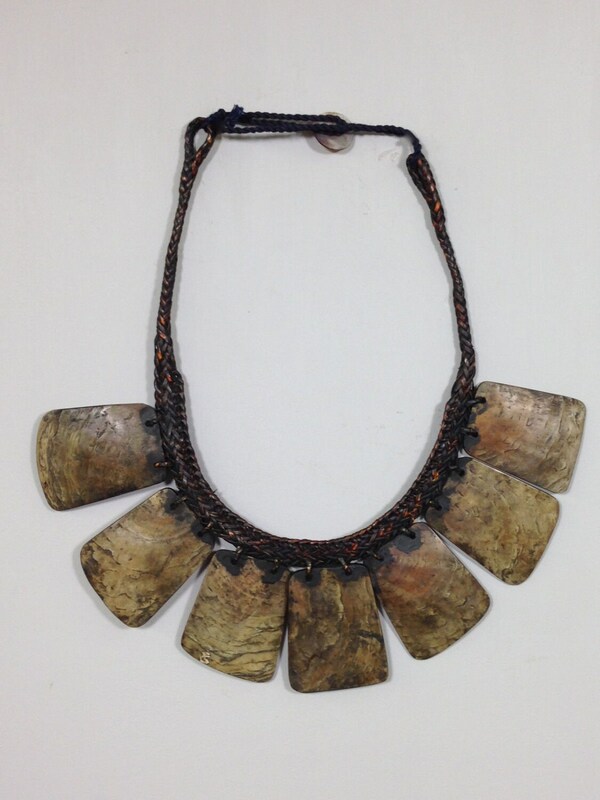 This necklace is considered a traditional Ifugao wealth object, traditionally worn by both the Ifugao men and women for ceremonial occasions. It would be beautiful in your home, even to wear or to give it as a gift. Shells 2 3/4" x 2"